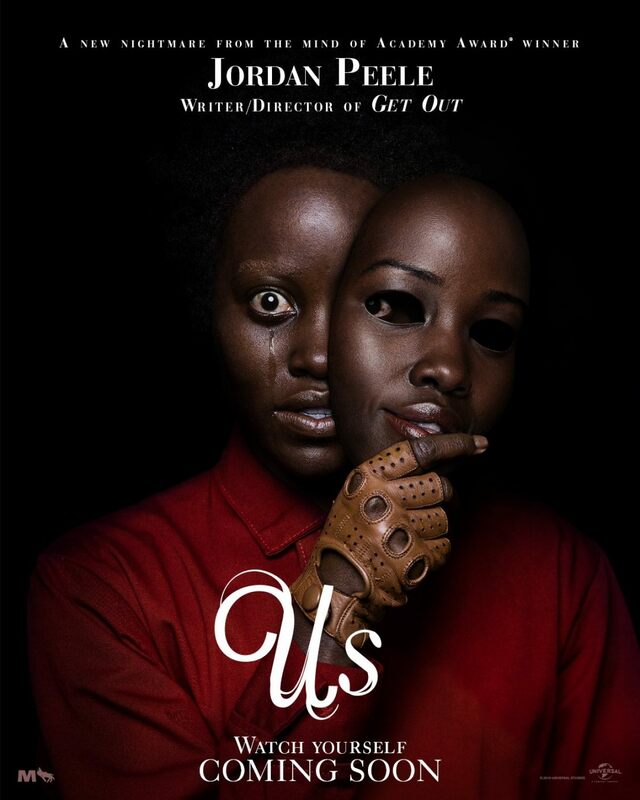 This New Poster For Jordan Peele’s US Is Creepy As Hell | Birth.Movies.Death. Did you catch that Rolling Stone profile of Jordan Peele that was going around last week? It's a helluva read, well worth your time, but there was one passage in particular that really stuck with me. In it, Peele says, “I’m such a horror nut that the genre confusion of Get Out broke my heart a little. I set out to make a horror movie, and it’s kind of not a horror movie", before going on to mention that his next film, Us, is more explicitly a straight-up horror film. The message is clear: Jordan Peele wants very badly to scare us, and Us is him making every effort to do so. It would appear that goal extends beyond the film and to its marketing campaign. This is the latest poster for Us, as revealed just now via Peele's Twitter account. It's one of the most bold, alarming one-sheets I've seen in quite some time (side note: no, I don't know why this image's dimensions aren't standard poster-size, either). Here we have Lupita Nyong'o's double removing a mask (her own face! ), staring directly at the viewer as a tear rolls down her cheek. This is an arresting image. An intriguing one. It's also scary as all hell. We love it. The wait for Us has been unbearable, but the good news is that it's almost over: the movie hits theaters on March 22nd, following its premiere at next month's SXSW film festival. Rest assured we'll have a review for you out of that festival, and that we're just as excited to see it as you are. Stay tuned.